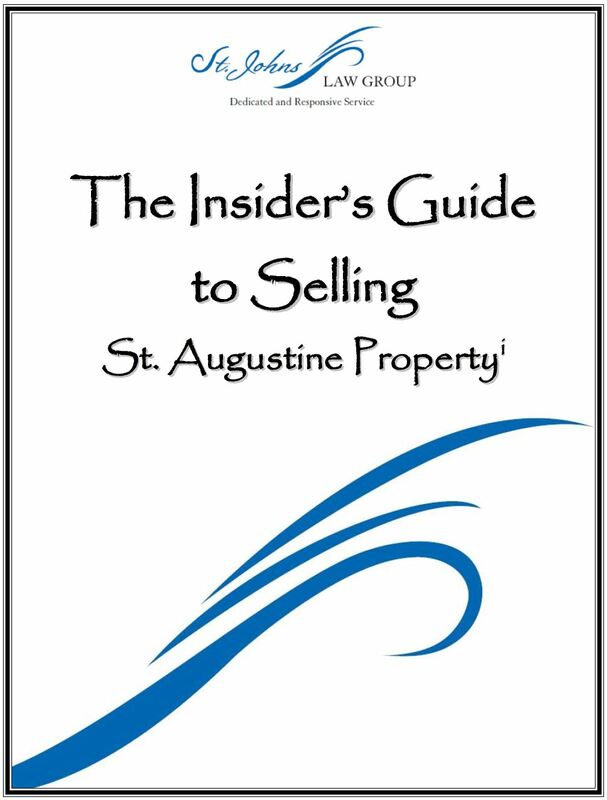 You can check out our free Insider’s Guide to Selling St. Augustine Property at http://sjlawgroup.com/realestateattorneystaugustine.html. In this St. Augustine Guide, you will learn tips to position your real estate in a way to increase your chances of success. This useful resource was created by attorneys who understand the St. Augustine, Beach, Nocatee, Ponte Vedra and St Johns market.